Who Will Be the Next Giants GM? It means whomever is hired as GM will have more autonomy in personnel or managerial choices than Bobby Evans did. However since Bruce Bochy is still with the team as well, likely approaching his final season, we can add that the new hire will not only have to contend with an ownership refusing to accept the need for a total rebuild (minor league system, shedding of over-priced players in obvious decline, cutting loose bad contracts and eating the money, and overhauling scouting and development as well as draft philosophy) it is perhaps unlikely the Giants are going to get the best talent available for this all-important job. 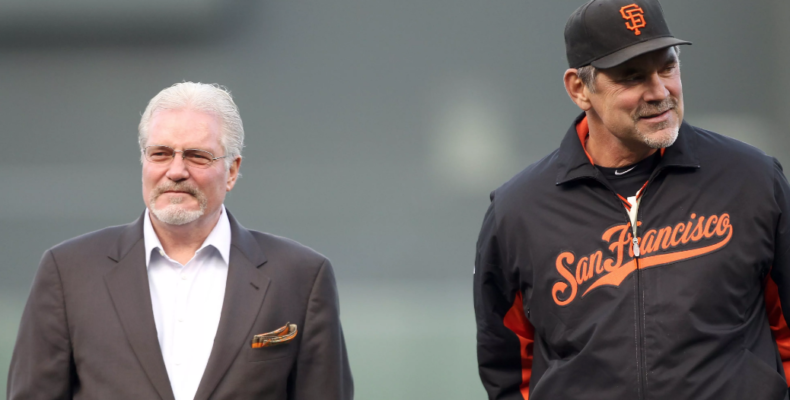 There is the case of what the Giants should do: (remove Sabean from all personnel decisions, remove Bochy as manager and give him an honorary executive position, and overhaul the entire front office and accept a few down years on the way to building a powerhouse) and there is the case of what it appears the Giants will do: Half-measures and finding a guy who will fit into the Baer, Bochy and Sabean dynamic without ruffling too many feathers. But I’m belaboring the point. The Mercury News recently published a list of ten likely candidates for the Giants GM position. The list is intriguing. It includes David Forst, A’s GM; Jean Afterman, a woman and Bay Area native; and Farhan Zaidi of the Dodgers. Their strengths and weaknesses, including their current contract situations, all vary and it remains to be seen what will happen or how the Giants are leaning. I will say this: I agree with the Giants process of keeping the search very private and not making it a circus act the way other teams have in the past. The Giants deserve credit for their discretion which will likely help them find who they believe will be the best fit without the pressure of scrutiny by the public and the press. When all is said and done, I don’t care if Charle Sheen is the next GM if it means the Giants will start winning World Series again. For my money, I believe it would be a mistake for the Giants, as an organization to think they have to start mimicking other teams in creating nothing but homer-happy hitters and pitchers who only throw 100mph, bring in the fences at Willie Mays Field and hope for the best. If we learned one thing watching the postseason so far this year it is that starting pitching still counts and lineups that cannot produce a key single with men on and that strike out chronically are doomed to fail in October. Just ask the Yankees.